Granby fourth grader Khimber Dumont flashes a smile as she picks up her lunch, consisting of chicken, sweet potato fries, an orange, a roll and chocolate milk, as part of the Fulton City School District’s new free meal option. FULTON – Free, functional and fantastic. That description sums up the Fulton City School District’s success thus far of the Community Eligibility Provision, a U.S. Department of Agriculture Food and Nutrition Service non-pricing meal serve option for school districts in low-income areas. The offering of free breakfast and lunches for the 2018-19 school year have far exceeded expectations of FCSD administrators. The proof is in the numbers, she said. In September of the 2017-18 school year, an average of 605 breakfasts were served daily and an average of 1,446 lunches were served daily throughout the district. With the CEP, those numbers skyrocketed to 928 and 2,059 for breakfasts and lunches, respectively, for September of the 2018-19 school year. Warwick said the trend is up for October, with an average of 1,330 breakfasts served daily and 2450 in lunches. With that, Warwick said FCSD would be happy if even more students took advantage of both free meal options. Superintendent Brain Pulvino praised Warwick and her staff for their development of tastier menu options, including a potato bar at G. Ray Bodley High School. All menu adjustments still fall in line with all required nutritional guidelines. Warwick said even if students bring a meal from home, they are entitled to a free breakfast and lunch each school day. Heartbreaking moments of collecting charges are no more, she said. 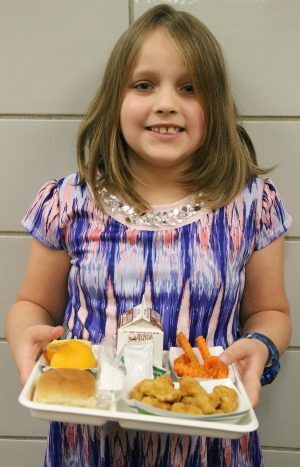 For more information, contact the FCSD Nutrition Program at 315-593-5516 or 315-593-5515.